Overseas, a new Starbucks Frappuccino launched last month, and we have serious FOMO over it. 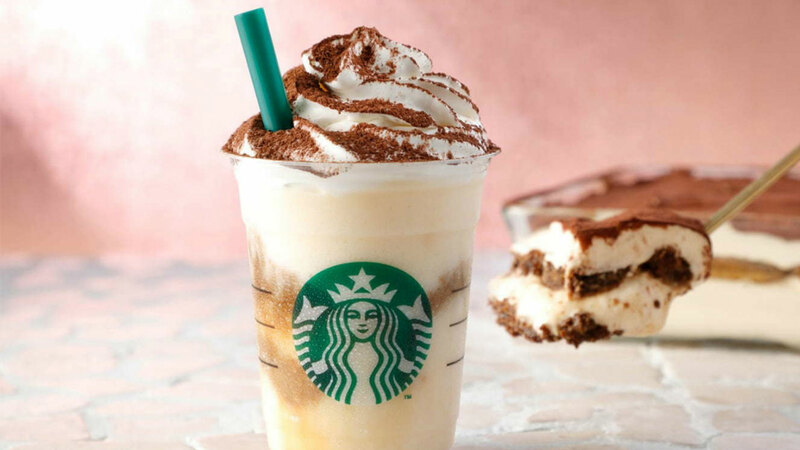 It’s called the Classic Tiramisu Frappuccino, and the new menu item is only available in Japan. Sure, we had our own version of a tiramisu Frapp back in 2015, but we think it’s due time it returned to the U.S. menu, don’t you think? Starbucks’ Classic Tiramisu Frapp — which is loaded with sponge cake pieces soaked in coffee, mixed into a custard base made with mascarpone cheese and egg, and topped with whipped cream and dark chocolate powder — is available through April 10 for about $5.29 for a tall. This is the second time a tiramisu-flavored beverage has been offered over in Japan; the first time was back in 2013. And if you’re itching to get your hands on one, there’s a hack for that. Then, ask them to top the Frapp with caramel whipped cream, caramel flan sauce and a mocha drizzle. The release of Starbucks Japan’s Classic Tiramisu Frapp follows a string of delicious new drinks and announcements this year in the states, including Starbucks’ nitro cold brew finally inching its way to more Starbucks stores nationwide. Plus, you may have seen the Ariana Grande-approved Cloud Macchiato at your local Starbucks. Available in two different flavors, the Iced Caramel Cloud Macchiato comes with whipped cloud cold foam flavored with vanilla syrup, shots of espresso, and the Starbucks signature crosshatch caramel drizzle; and the Iced Cinnamon Cloud Macchiato trades vanilla for cinnamon-lemon syrup. That’s it; we’re making a run to Starbucks. We need any (read: all) of these drinks in our lives today.